If the safety is off, or if the gun is loaded without you being aware of it, keeping your finger off the trigger will ensure that you’re using it safely. Until you are ready to fire the gun, until you are ready to destroy what you’re pointing at, you should keep your finger off the trigger. It’s far too easy to accidentally pull the trigger because of a spasm or startled response to something. Mostly, but there’s no reason to have your finger on the trigger even if there is a safety and you “know” that it’s on. Check out the full article over at Kotaku. im glad someone has some common sense about firearms. its my understanding that safeties are used mainly to prevent inanimate objects getting in the trigger guard and firing the weapon. i never use the safety on any of my guns, never have needed to. a gun with no round in it wont go off. Honestly, playing the numbers game, I’m going to be asleep when the only time I have a firearm next to me (bedside).my door is locked and closed, the only windows have stuff in front of them. I’ll either hear them cussing getting over stuff or I’ll never know its coming. Might as well be a bit safe. I don’t have a ccw permit and aren’t a tactical full on operator. I personally don’t need to have one in the chamber safety off on all of my firearms. to each their own. and you are absolutely correct a gun with no round in it wont go off, as hard as you may try, even if you want it to. mine are ready to go at all times and you will catch me yelling ‘finger off the trigger’ at a picture like on this video game, just out of habit. i liked one of the comments on kotaku about ex-.mil guys holding nerfs/super soakers with their fingers off the trigger. after a few years, it just becomes natural. I, for one, am glad to see this sort of article. 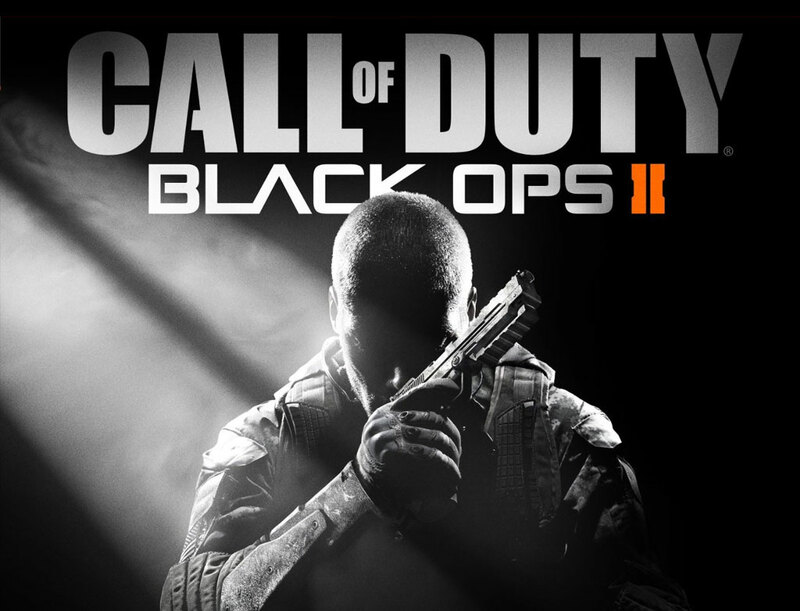 While I think the poses on most video game boxes are stupid to begin with (what, exactly, is the guy on the cover of “Black Ops 2” doing? Taking a nap? Contemplating the friends and family of the sentry he just killed? Texting? ), it’s good to see someone taking the time to point out something that is quite critical in the realm of firearm safety. It’s easy to disregard poor trigger discipline because, “hey, it’s just a game,” but I’ve taught too many new shooters whose only exposure to firearms is through video games and TV and had to remind them too many times, “finger straight and off the trigger” to think there isn’t a correlation. They’ve gotten a lot better about it in movies (compare any ’80s action flick to anything more recent); these video game marketers need to catch up. You guys getting butthurt about artwork on a video game need find other outlets for your frustrations. If you’re relying on movies video games to teach America’s youth about trigger discipline then maybe you’d be better served worrying about what the content of the movies and games teaches them about firearms in general. Desensitizing developing minds to violence has a far greater impact on safety than worrying about an negligent discharge that may or may not (more likely) occur as a result of seeing a photo. Priorities……..how do they work? You said it much better that I could, thank you! Plus, if you dont like it go back to nes or atari 2600 gaming, no chance of seeing a finger on a trigger there. People who complain about this are morons, they are the same as those who complain about safety checks on youtube. Take it for what its worth. Its a video game box cover. Complaining about the weapon condition of a weapon held by a fictitious character, in a fictitious game are a new level of douchebaggery. Its great if you know that is not proper for a real world application, but its not the real world nor is it intended to be an example of how one should handle a weapon in the real world. Might as well just say his gear and gloves are too tacticool while you are it. Maybe these people are worried that as they drop the game into the cart it might cause the gun to discharge in a crowded store. While a small detail, I believe it is an indication of which studios are higher up on their research skills. Possibly also indicates which places have an actual passion for the subject matter of their product. It’s what I’d do. Keep your booger hook off the bang switch until you’re ready to destroy what the nozzle is lookin at maggot! yeah. plus dude on the cover is just about to shot and try to kill something. i think its funny when they say finger off the trigger untill you are ready to “destroy” what ever it is. i dont think i have every shot shot something and destroyed it. except maybe a dinner plate.